Mohr Elementary School in Pleasanton, opened September 1997, is named for Henry P. Mohr, a man who played a major role in the agricultural development in Pleasanton and was influential in the social and economical evolution of early Pleasanton. Henry Mohr was born in Eden Township (Hayward) in 1858 and settled in Pleasanton in 1894 in a two story farm house at the end of Pleasanton Avenue (renamed Mohr Avenue in 1959). His vast land holdings grew to 3,000 acres in north Pleasanton, including the land on which the school stands. He was one of the valley's foremost farmers, known for his superior grains and sugar beets, as well as a noted breeder of Clydesdale Draft horses. Mohr was also an inventor and patented a threshing machine. He was a charter member and President of the Amador Valley High School District Board of Trustees in the 1920's. He helped found the First National Bank of Pleasanton and was its first president, serving in that position for twenty years. He married Ernestine Schween and raised a family of five daughters. Mohr was active on his farm and in the community until his death in 1934. 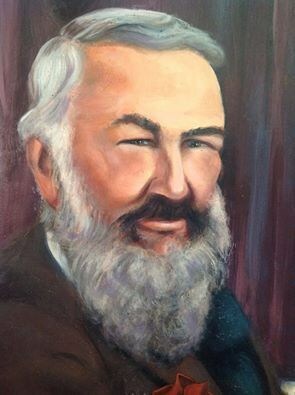 It is a fitting tribute to name our school after this great pioneer in Pleasanton's history. Mohr's mascot is the eagle, and the school colors are maroon, black, and white.